As the owner of such a classic sports car you have high expectations in the repair of your Porsche. Auto Collision Specialists will exceed them. You can rest easy knowing your Porsche will be in the hands of technicians who have the most advanced training in luxury vehicle repair. Your Porsche was built to perfection and ACS is dedicated to repairing it with genuine OEM (original equipment manufacturer) parts to keep it that way. While other shops use aftermarket parts, ACS only uses OEM parts to keep your Porsche running the way it was intended to. You take pride in your Porsche. ACS takes pride in the exclusivity of our parts. Shops that use aftermarket parts compromise the integrity and performance of your Porsche. By using genuine Porsche parts, our trained technicians will restore it to pre-collision condition. You would never let just anyone fix your Porsche. That’s why ACS technicians have the latest and most advanced training when it comes to luxury vehicles. Your Porsche is in the best of hands with our certified technicians. With certifications in I-CAR (Inter-Industry Conference on Auto Collision Repair) and ASE (Automotive Service Excellence), our technicians have the experience and advanced training to handle your Porsche with absolute care. 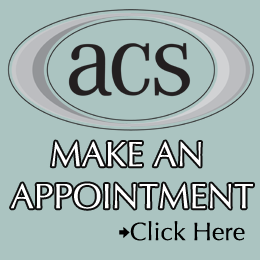 Here at ACS, we know how much your luxury car means to you. That’s why we’re proud to repair your Porsche using top of the line certified OEM parts by the best trained technicians in the Baltimore area. Does Your Porsche Need Repair?